Ooh Crab! New Pattern out now! I used about 150 grams of various leftovers from Marks & Kattens Flox cotton yarn on 3mm needles and it turned out to be approximately 45x45cm tall, the perfect size to chase a toddler around the house 😛 All pieces are knit in the round and can be knit on directly or made separately and attached later, as you prefer. 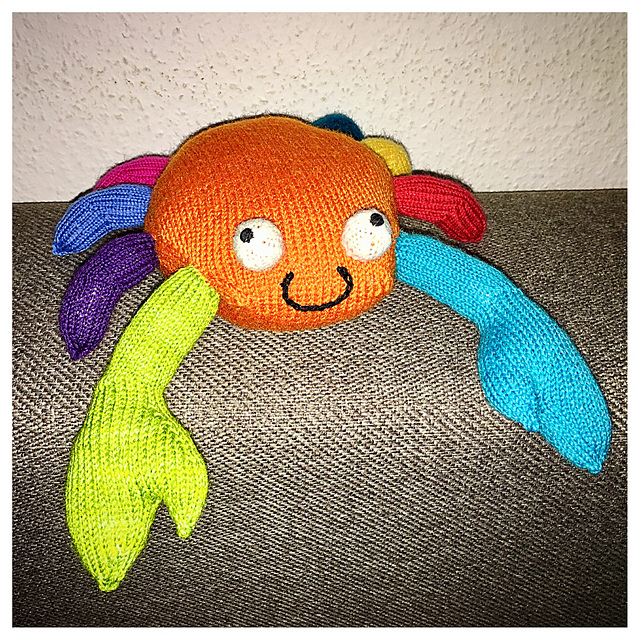 I’m usually the lazy type and knit on everything because I don’t like sewing, but in this case it was easier to attach the limbs after completion, as the body was quite heavy with fiberfill already. My test knitters have also had fun with the pattern and made these cuties. 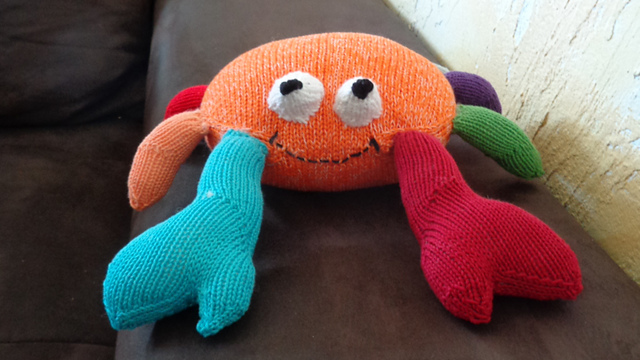 Ariadne4 used about 94 grams of cotton yarn leftovers and measured her crab to be 20x39cm. 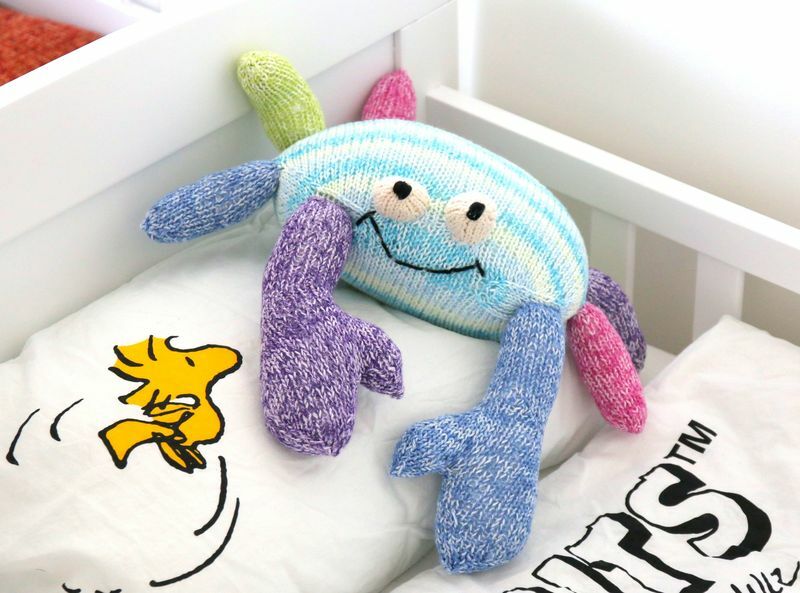 And urmare and kathinka14 preferred to have a smaller crab for pocket-pinching and used sock yarn leftovers. Their crabs turned out to be about 20x20cm small. So get out your leftovers and start making one (or two 😛 )! Have fun knitting! 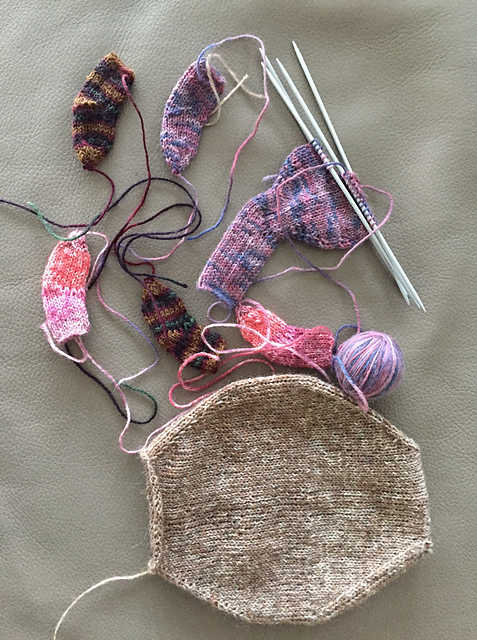 Depending on the size you want to achieve you’ll need either a handful of sock weight yarn leftovers (about 40grams should do the trick) or more if you use thicker yarns. 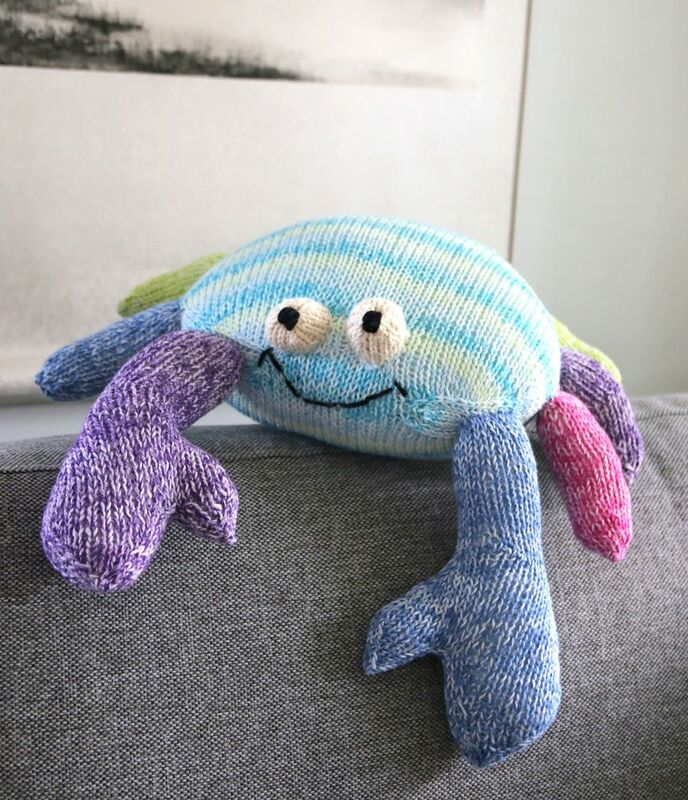 It is important, that you use the same yarn quality throughout the whole crab. I used 150g Marks & Kattens Flox cotton yarn (140m/50g). 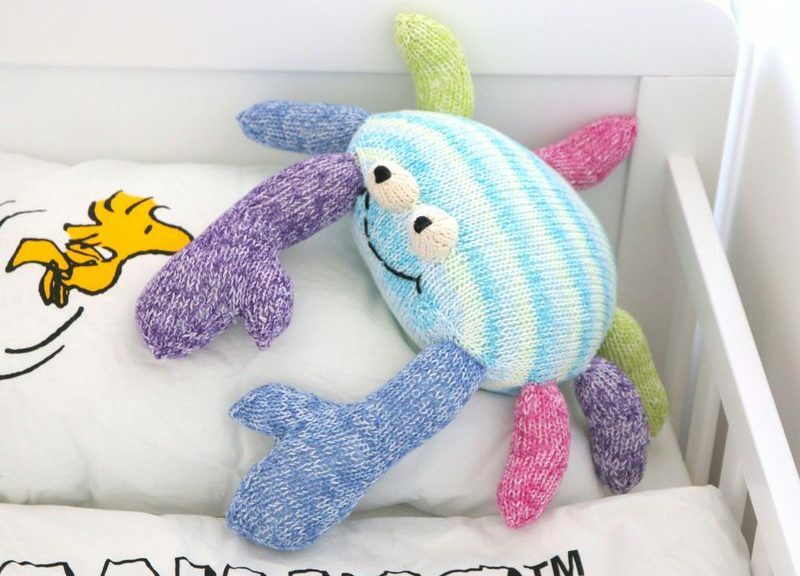 The crab in the picture measures about 40x45cm including limbs. Knitting needles (dpns or circulars, whatever you prefer) matching your yarn. You should use needles one size smaller than indicated on the yarn to prevent fiberfill from showing. I used 3mm dpns for my crab. THANK YOU to my wonderful test knitters ariadne4, urmare, kathinka14 and Binle and Suzieqtee for proof reading!